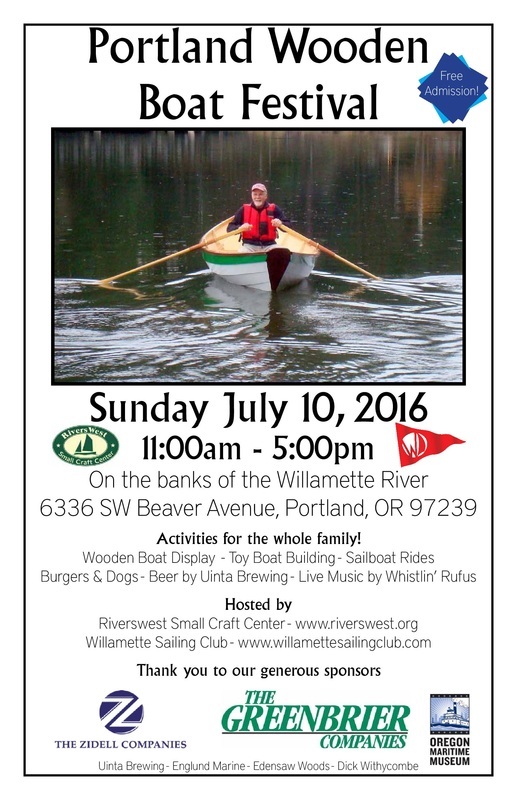 The Family Boat Build was held on July 9 and 10, 2016 at the Willamette Sailing Club. We had 12 families participate in building their own copy of the Salt Bay Skiff. Riverswest provided the kits of parts for the boats, and assistance during the build. Willamette Sailing Club provided the venue, and this year, our sponsors were Greenbriar, the Oregon Maritime Museum, and Zidell - thanks a lot all! Go to our gallery for pictures and a video from the boat build, here.